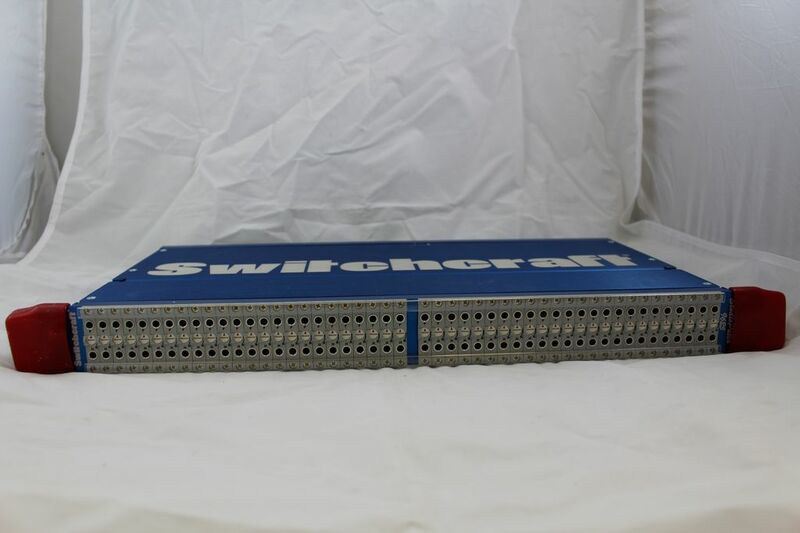 Home / Switchcraft CM-9625 TT Patchbay TT-DB-25 Patchbay with Half-normal, Full-normal, or Non-normal Operation. 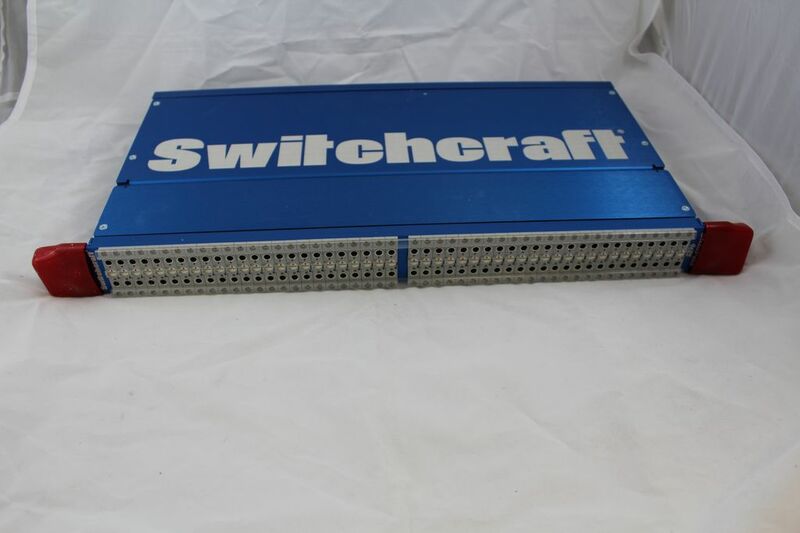 Switchcraft's StudioPatch 9625 is designed to fit seamlessly into either an analog or digital studio environment. 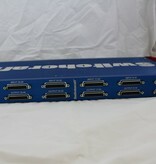 The StudioPatch 9625 simply connects to I/O interfaces with common DB25 cables. 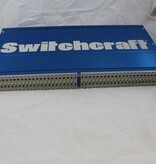 The StudioPatch 9625 is conveniently laid out with two groups of 24 channels of TT (Bantam) jacks. Each group of eight has its own in and out DB25. Depending on your studio's normaling requirements, the StudioPatch 9625 has changeable normals by the turn of a household flathead screwdriver. For each of the 48 channels these normaling positions can be set to either full normal, half normal, or non-normal modes. And yes, you can pass phantom power to your condenser microphones with the StudioPatch 9625. A 1' black TT patch cable is included with purchase. 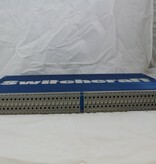 The rear panels of the StudioPatch Series (6425 and 9625) have a total of either eight or twelve female 25 Pin DB25 (or DSUB) connectors depending on whether you have purchased the 64 or 96 point versions. 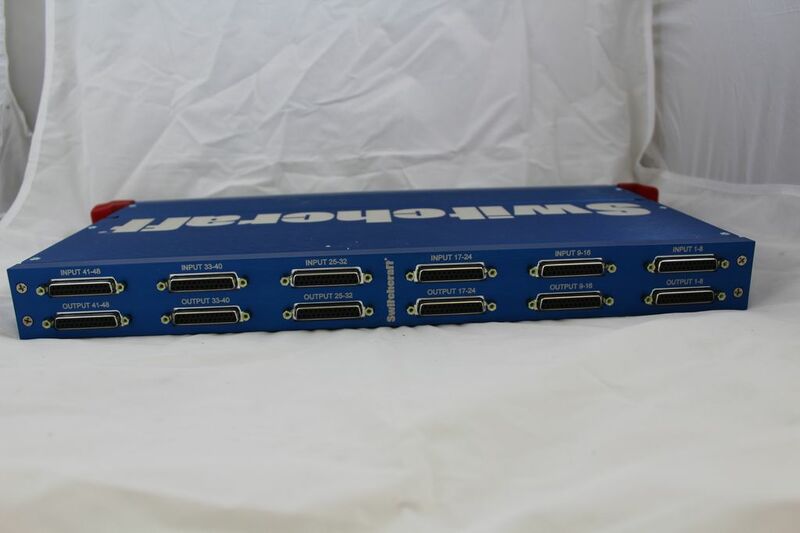 The top row of connectors are for inputs, and the bottom row are for outputs. Each DSUB can carry eight channels of balanced analog audio, or sixteen channels of AES/EBU standard digital audio.